General Electric Company (NYSE:GE) will step into the earnings confessional ahead of the open this Friday. 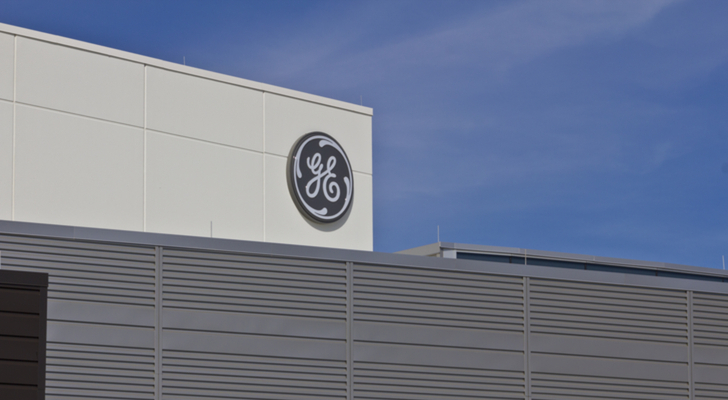 For GE stock investors, the event may offer some insight into General Electric’s plans regarding spinoffs or other potential hybrid deals. For GE options traders, the situation is a veritable mess. If you’re a GE stockholder, and you’ve ridden the shares lower for the past year and a half, you might as well hold on for now. GE stock could still regain some of your losses this year, and there is the potential for you to receive shares of a spinoff of GE’s transportation business. This news comes via a report last week in The Wall Street Journal, and it bolstered sentiment in GE stock. In fact, the shares have rallied this week to reclaim their 20-day moving average and the $13 level. From a technical perspective, GE has plenty of room to run before it hits resistance. Click to EnlargeA positive earnings report could see the shares eclipse $14 and make a run at $15. The resulting breakout above GE’s 50-day moving average could add to the stock’s momentum. However, GE has had a bad habit of disappointing investors for quite some time. Just when you think things can’t get any worse, they do. Another round of bad news this week after a move higher could reset the stock’s trend lower, and GE could quickly trade in the single digits. The shares do have the advantage of heading into earnings with exceedingly low expectations, however. Wall Street is projecting a 42% decline in quarterly earnings to 12-cents-per-share. Revenue is expected to decline 0.5% year-over-year to $27.52 billion. EarningsWhispers.com puts the bar even lower at just 11-cents-per-share. As for the brokerage bunch, Thomson/First Call reports that only seven of the 17 analysts following GE stock rate the shares a “buy” or better. The 12-month price target of $17.40, meanwhile, represents a lofty premium of about 30% from yesterday’s close. Despite the negative outlook, however, both indicators have room for the situation to grow more bearish. GE options traders are also quite bearish on the shares. Currently, the May put/call open interest ratio rests at 1.12, with puts outnumbering calls among options back-month options. May implieds are currently pricing in a post-earnings move of about 5.5%. This places the upper bound at $14.07, with the lower bound coming in near $12.60. With the 50-day moving average resting just above $14 and GE’s annual low coming in at $12.73, a move to either of these extremes could elicit a larger than expected spike in GE stock. Strangle: Given the potential for a sharper than expected move in either direction following any news on GE’s future, a strangle play has the potential to be quite profitable in this situation. A strangle involves the simultaneous purchase of an out-of-the-money call and an out-of-the-money put (with both strikes typically just above and below the stock’s current price). This strategy allows the trader to take advantage of a large move in the underlying stock regardless of the direction. At last check, the GE May $13/$14 strangle was offered at 74 cents, or $74-per-pair of contracts. Breakeven for this trade lies at $14.07 on the upside and at $12.60 on the downside. Call Spread: Those optimists looking to bet on a continued rebound for GE stock might want to consider a May $14/$15 bull call spread. At last check, this spread was offered at 21 cents, or $21-per-pair-of-contracts. Breakeven lies at $14.21, while a maximum profit of 79 cents, or $79-per-pair-of-contracts — a potential return of 275% — is possible if GE closes at or above $15 when May options expire. Article printed from InvestorPlace Media, https://investorplace.com/2018/04/general-electric-company-stock-worth-second-look/.